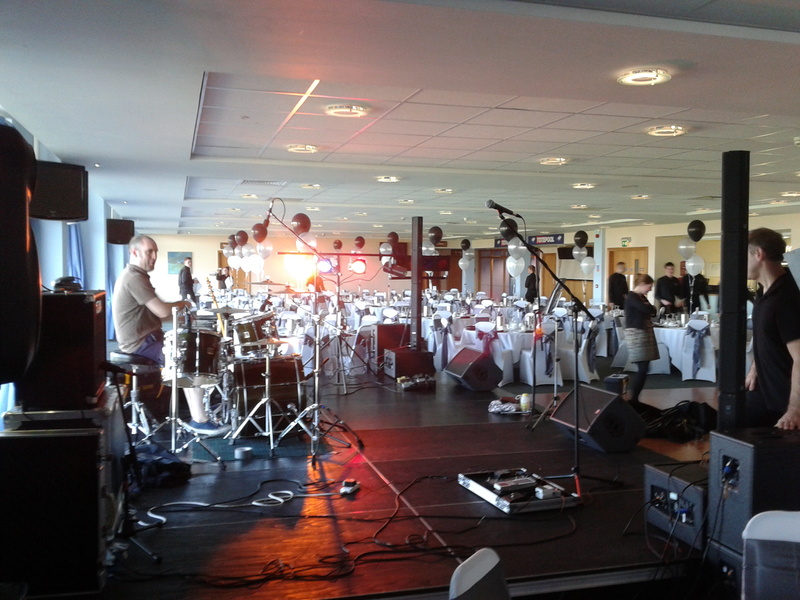 Last month, we played for Laura as part of a charity ball at Doncaster Racecourse. This was our first time at this particular venue and we thought it was fantastic. The room we were performing in had superb views across the course and we were lucky to get some great weather on the day to help things along! There had been a lot of preparation prior to the event. This was a black-tie ball for over 250 guests, so we had worked closely with Laura and the racecourse team to make sure every detail was covered before we’d even set foot in the room. Given the size of the event (all 250 guests were sitting for dinner in the room we were performing in), we decided to bring along our good friend Martin from Red Van Sound and Light to take care of the sound and lighting. Martin’s a great guy to work with and his skill (and his top-quality sound system) ensured that everything sounded as good as it possibly could, all night long. We were all set up and sound-checked in little over an hour; then we headed for our dressing room whilst the guests arrived and settled for dinner. As the night started in earnest, we took a few glimpses out of the dressing room door to try to get the measure of the crowd. Believe it or not, this is an important part of the night for us – we try to shape our set list to suit each crowd and event rather than simply doing the same ‘turn’ every night. We will always take the time to talk to the client about what they do and do not want during the night – but nothing beats getting a good look at everyone! We hit the stage at 10pm and set off with a few mid-paced numbers to try to ease the diners on to the dance floor – not always easy when the crowd have just had dessert. However, it was soon clear that everyone was up for a good time and, most importantly, they wanted to dance! 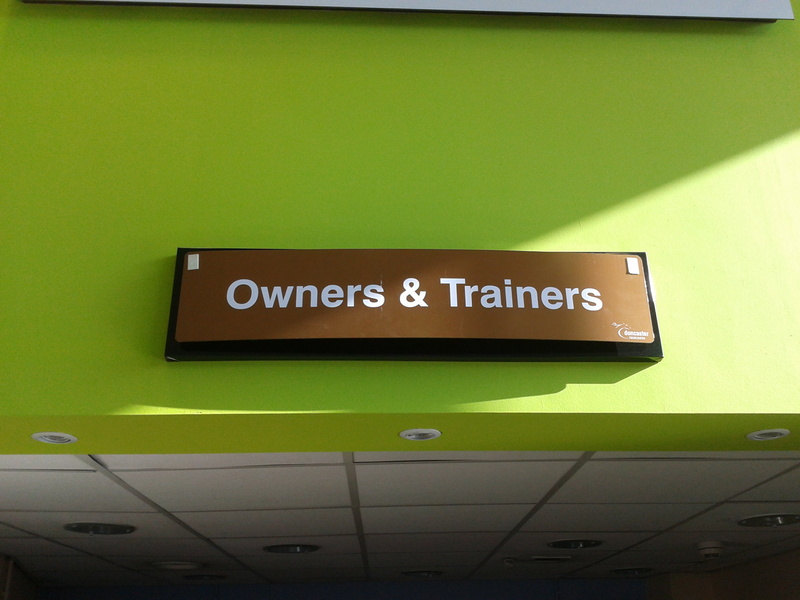 From that point we stepped things up a gear. This is where our experience and our ever-expanding repertoire are invaluable; we were able to adjust our set to keep the crowd on their feet and wanting more. Our first set finished with a cheeky Girls Aloud cover and full dance floor. The DJ picked things up and kept the party going whilst we took a short break. 30 minutes later we took to the stage again and, this time, we started as we intended to go on. We kicked off with ‘Kiss’ by Prince, which seemed to get the whole place up and dancing. 45 minutes later they were still there as we launched in to ‘Valerie’. Then came the encores! This whole night was a real joy. We had a great crowd and it was a great venue with great staff. We delivered our part of the evening on time and on budget and, best of all, a lot of money was raised for charity. Previous Do you like good music?